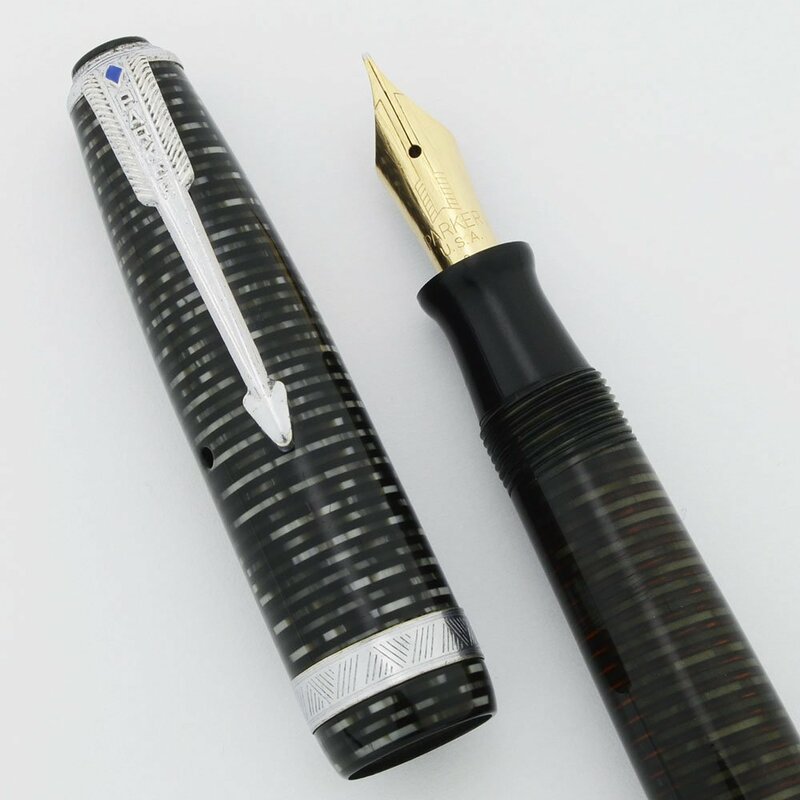 Parker 1940s Vacumatic fountain pen in laminated grey pearl. It has a black cap jewel and nickel plated trim. The grey pearl is the only vacumatic to have nickel plated trim. Fine nib. Excellent condition. The pen is fully restored and working well. Length 5-3/16", this is the standard size. Nib FINE 14k nib has a bit of give and is a smooth writer. The nib has a date code of 3 with three dots. Some light scratches on the nib. Condition Excellent condition. The barrel transparency is strong and the barrel imprint is clear. The plating is in good condition with some marks of wear and pitting on the tassie, but overall it looks good without magnification. The upper part of the barrel near the section is slightly recessed from capping. There are some bite marks on the blind cap.